Boots (not to be confused with Little Boots, Moon Boots or Puss in Boots) is an American singer and electronic producer. Some of you may know him as the dude who produced Beyoncé’s ‘Haunted’. Some of you may now him as the dude who produced that recent FKA Twigs EP. Some of you may know him as the guest vocalist on that Run the Jewels track ‘Early’. Some of you may not know him at all, in which case don’t despair, I’m here to fill you in. It's 2015 and Justin Bieber is no longer that mop-haired squeaky-voiced Canadian kid singing schmaltzy love songs for fourteen-year-old girls. No, he's now a fully-grown adult male human being with tats and a six-pack making club anthems for his fellow twenty-something drinkers. As a tribute to the devastating terrorist attacks that took place this weekend in Paris, jazz fusion bassist and singer Thundercat has composed this short melancholy instrumental. It's time to get your freak on! Female hip hop legend Missy Elliott is back with a new banger that's right in tone with her previous hits - sporting a wild beat, a guest verse from Pharrell Williams (he raps!) and some big-budget visuals. Missy Elliott's dance choreography never disappoints. Even if Pusha T's rhymes rarely make sense as a whole, there's something beautifully vivid about his use of language: 'Let's take the scenic route/ I could show you the strange fruit/ It's looking like Beirut/ They open the washbay, I climb it like K2'. The 'scenic route' really does sum up his rapping style. Bleeding heck, it's that time of year already. Sorry, I'm not ready for Christmas songs yet - especially a Slade cover. The original is torture enough. It's nice to hear Chris Brown sincerely apologising for all that Rihanna business. I kind of nodded off when Rick Ross turned up though. Is there a more mediocre rapper in the game? He's the hip hop equivalent of beige, the hip hop equivalent of dry toast. Listen to this song if you like beige and dry toast. This new avant-garde dance-pop album is the masterful work of Honduran-American singer-songwriter Lorely Rodriguez AKA Empress of. Empress of what? I tried googling an explanation behind the artist's name but came back empty-handed. Unsurprisingly, a lot of fans have been asking the same question, so much so that Lorely almost titled her album 'what? lol' so that the album text would read 'Empress of what? Lol'. 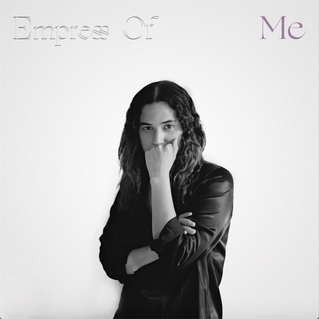 However, for better or worse, she decided against that idea, instead titling the album 'Me' as to read 'Empress of Me', which is fitting considering all the songs on this record are about taking charge of oneself. Following a personal breakup and produced and written in the solitude of her Mexico City lakehouse, 'Me' is an album inspired by being left on one's lonesome. The lyrics see Lorely indecisively coming to terms with her newfound single-ness, mourning the loss of her ex one moment and fiercely embracing her independence the next: 'Can I get up off my knees and find a rhythm of my own?'. It's an album about letting go of that bae that used to whip you, whilst at the same time wanting them back. It's an album about being your own empress but not quite knowing how. Vocally, Lorely captures this inner turmoil well - sounding both positively bouncy and dejectedly sighful. This inner turmoil is also reflected in the quirky beats (produced by Lorely herself!). The energy is upbeat and danceable but the sounds used are twisted and pained, comprised of over-distorted digital drums and sour synths. The most noticeable example of this is the track 'Water Water', which starts with sad wails over dissonant chord splodges, later evolving into a bright house tune of sorts. Clearly the aim is to create a confused mixture of emotions. The result is a sound that is entirely unique. To some degree you could call these pop songs - they're catchy and charmingly simple in structure. However, the strange palette of sounds and the tortured lyrics add a complexity that prevents any of these from being radio-worthy, appealing more to underground junkies like myself. I guess there are slightly Bjork-ish tones to her voice, but otherwise she's the empress of her own musical style. Over some tasty self-produced boom bap drums and smooth synths, London rapper Piers James delivers this laid-back song about enjoying youth. I’m reminded of Tyler the Creator’s ‘Parade’ minus the obnoxiousness. Made up largely of harsh noise, this latest track from UK producer will have a lot of people scrambling for the mute button. For some strange reason, I love it. Am I mentally well? Can pain be pleasant? Is that why people eat vindaloo? Is that why Tough Mudder exists? In any case, your welcome to give this track a listen. It’s humorous if nothing else – especially those tinkly interludes towards the back end of the track juxtaposed against the ominous din like Barney the Dinosaur spliced into The Exorcist. Yuck, Take That?! My mum listens to them. Sadly, I can’t get enough of this new single. The funk is undeniable. Maybe if I close my eyes and imagine its Duran Duran it’ll all be okay. Opening with some blindingly bright tremolo synths, this new instrumental from the Scottish producer teases and teases until finally allowing some percussion to break through. Rustie’s biggest mistake recently in his tracks has been hurling too much at the listener too soon, so I am glad to see him restraining himself a little. 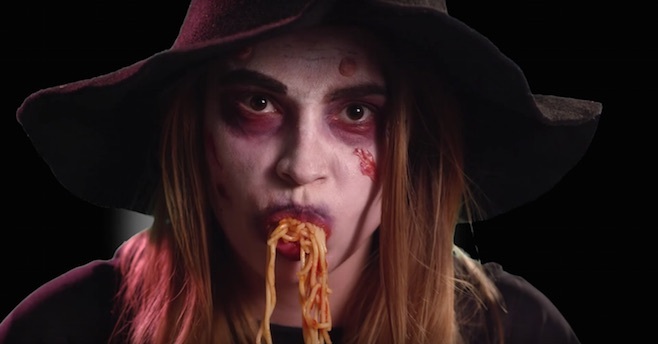 Unknown Aussie duo World Champion deliver this upbeat indie dance number. Drowsy vocals and distant synths add a psychedelic edge. It’s like Tame Impala and The Stone Roses have had a baby. A song about Taylor Swift? 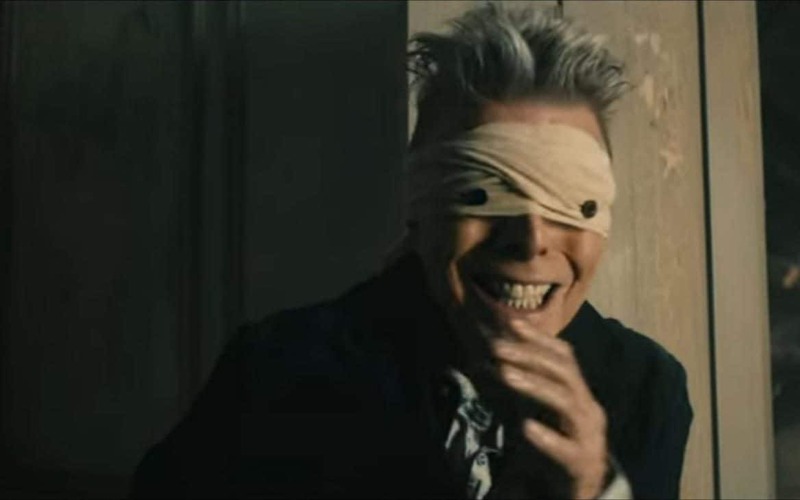 Is this what pop stars have resorted to – singing about other pop stars? I can’t wait for Taylor Swift to write a song about The Knocks and Matthew Koma. Ellie Goulding has a voice like a cartoon mouse on helium. I’m not sure it’s a cadence I’m entirely keen on, but I respect it’s individuality. Without this vocal tone, the UK singer would arguably have nothing going for her, especially apparent on this album which instrumentally is nothing more than a bunch of watered-down eighties synthpop tracks that wouldn’t sound out of place on Taylor Swift’s last record nor Carly Rae Jepsen’s. The intro is vaguely gothic and avant-garde, I guess. And the twangy guitars on ‘On My Mind’ sound like something The Police might have played with. However, these brief moments do nothing to spice up an otherwise vanilla pop album. San Diego deathgrind band Cattle Decapitation have dropped the hippy ethos. No longer are all their members vegetarians and no longer do they write songs about mankind's mistreatment of animals. Instead, they've turned to psychopathic songs about their hatred of humanity. Their last album contained romantic song titles such as ‘A Living, Breathing Piece of Defecating Meat’ and ‘Dead Set on Suicide’. This album meanwhile settles for less explicit (but equally misanthropic) titles such as ‘Not Suitable For Life’ and ‘The Burden of Seven Billion’. Fittingly evil lyrics ensue, all to the accompaniment of blast beats, machine gun riffs and bowel-emptying breakdowns. Cattle Decapitation have never been softies sonically. On this record they attempt to show off their entire arsenal of extreme techniques. Most metal bands are a one trick pony but Cattle Decapitation seem to be both masters of breakneck speed and crawling sludge. Their vocalist Travis Ryan also shows impressive versatility – alternating between death growls, black metal screeches and a unique semi-sung snarl that sounds like its being delivered by a toothless pirate. Occasionally, the band don’t quite know how to integrate all their ideas into a flowing song – shoving riffs and interludes together in a start-stop motion. It’s all very exciting, albeit a little messy.